Synopsis of Book: Welcome to Trenton, New Jersey, home to wiseguys, average Joes, and Stephanie Plum, who sports a big attitude and even bigger money problems (since losing her job as a lingerie buyer for a department store). Stephanie needs cash—fast—but times are tough, and soon she’s forced to turn to the last resort of the truly desperate: family. Stephanie lands a gig at her sleazy cousin Vinnie’s bail bonding company. She’s got no experience. But that doesn’t matter. Neither does the fact that the bail jumper in question is local vice cop Joe Morelli. From the time he first looked up her dress to the time he first got into her pants, to the time Steph hit him with her father’s Buick, M-o-r-e-l-l-i has spelled t-r-o-u-b-l-e. And now the hot guy is in hot water—wanted for murder. Why I Read This Book: This book was recommended to me by a friend. What I liked: I liked how this book kept you on the edge of your seat until the very end. I also liked how the characters seemed real to me. What I didn't Liked: I did not like Benito - he was not a nice person and seemed to only want to hurt women. Overall Impression: I am glad I read this book. I am not a fast reader but I read this book in a day and a half which is fast for me. I could not put it down. One minute I was scared for Stephanie, then sad for her, and then cheering her on. Poor Stephanie has lost her job and is out of money but rather than run to her parents or giving up she chooses to take a job with her cousin. It was fun but scary at times to watch Stephanie learn how to become a bounty hunter. She made some mistakes got knocked around a little but in the end did a good job. I loved Stephanie's grandma she seems like a hoot, we don't see much of Stephanie's family but they seem like a close family what little we did see. I liked how Joe and Stephanie play off each other and he kept her on her toes and would not "let" her bring him in to collect her money. I wonder if we will see more of them together in the future? I would like to see the movie now but am afraid I would be disappointed as I enjoyed the book that much. I will be continuing on with the series in the future. 5 Stars. Synopsis of Book: It may be summertime, but sales at Fairy Tale Cupcakes are below zero--and owners Melanie Cooper and Angie DeLaura are willing to try anything to heat things up. So when local legend Slim Hazard offers them the chance to sell cupcakes at the annual Juniper Pass rodeo, they're determined to rope in a pretty payday! What I liked: I continue to like how close the girls are and how they have become close with Oz and Marty as well. I kind of like the Rodeo theme to this book. What I didn't Liked: Even though I liked the Rodeo theme, I was not sure I liked it for this book. I like when they are in their town and the murder happens. Overall Impression: I overall enjoyed this book, but still am not sure what I think of a Rodeo owner just happening by them and asking them to sell cupcakes at the rodeo when he just met them and how close they became so fast. 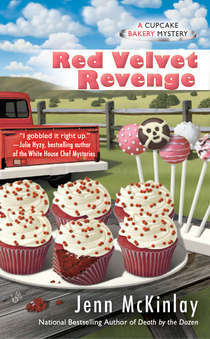 I still love the whole cupcake theme and loved how they added the cupcake pops into this story since they are the new rage in cupcakes. I don't want to give away any spoilers but I loved the end of the book and what a way to end it and make us wait for the next one. I thought I had the killer pegged but ended up being totally wrong and never saw real killer coming. This was a fast read for me and glad I read it. I am going to give this one 4 stars. With her beloved younger siblings settled and happy, Erin Foley has empty nest syndrome. At age thirty-five. So she's hitting the pause button on her life and holing up in a secluded (but totally upgraded—she's not into roughing it) cabin near Virgin River. Erin is planning on getting to know herself…not the shaggy-haired mountain man she meets. Why I Read This Book: I have been reading this entire series with a friend just for the enjoyment of them. What I liked: I liked how this book had just a little bit of action/mystery of something from the past for Aiden. 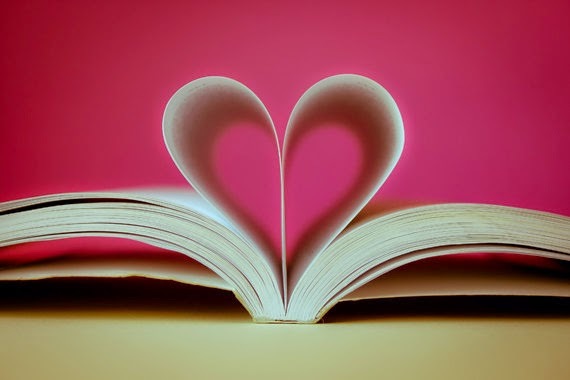 I also enjoy the books so much that I can't put them down. 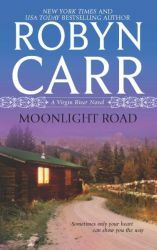 What I didn't Liked: There is nothing that I don't like about the whole Virgin River series other than the time it takes me to get to the next one. Overall Impression: I like that Aiden was brought back to be a major character in this book and tells his story. Maureen and George are so cute as an older couple in love. Art also plays a big part in this book and he finds his friend from his group home, I like that we saw him a little more. As always we have a little romance and a baby or two being born, a little sadness and some new friends but it would not be Virgin River without all of this, that is part of what draws you into each book. I enjoyed how the book ended and am looking forward to reading the next one. 5 Stars. Imprisoned by memories, Claudia Campbell lives each day in the shadow of a ten-year-old murder. Who can set her free?On the way home from a football game, a decade earlier, a masked gunman opened fire on a Texas school bus. Cheerleading coach B.J. Remington was killed, but her murderer was never found. Claudia, who had a close friendship with the young, spirited teacher, constantly relives the anguish of that day, caught in one moment in time. 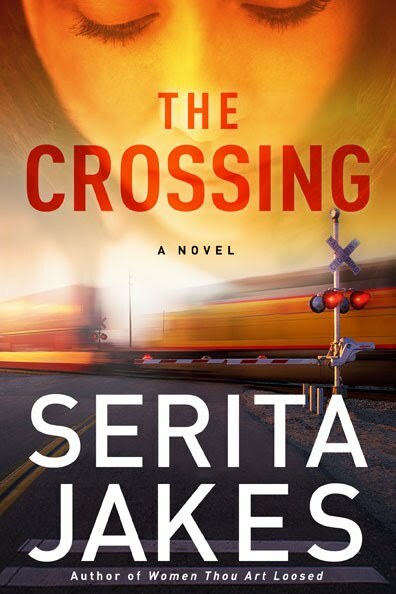 When her husband, the assistant district attorney, becomes determined to uncover the mystery of that tragedy, the secrets buried over the years threaten to tear their family apart. Why I Read This Book: I was given this book by Waterbrook Press for a fair and honest review. What I liked: I liked how this book kept you turning the page so you can find out what happens next. What I didn't Liked: I did not like how this book kept you turning the page so you have to find out what happens next. Just kidding - I liked the book. 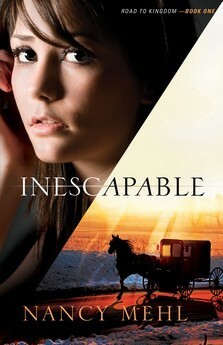 Synopsis of Book: Lizzie Engel is used to running away. At eighteen, she left her Mennonite hometown, Kingdom, Kansas, with plans never to return. But five years later, the new life she built is falling apart. Lizzie knows she's being followed, and she's certain the same mysterious stranger is behind the threatening letters she's received. Realizing she'll have to run again, the only escape Lizzie can manage is a return to the last place she wants to go. Once she arrives in Kingdom, Lizzie is confident she'll be safe until she comes up with a new plan. In reacquainting herself with the town and its people--especially her old friend, Noah Housler--she wonders if she judged her hometown and her Mennonite faith too harshly. However, just as she begins to come to terms with her roots, Lizzie is horrified to discover the danger she ran from is closer than ever. Why I Read This Book: I was given this book by Bethany House for a fair and honest review. 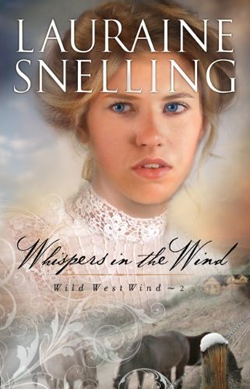 What I liked: I liked that this book was about the Mennonites and how one left her faith but then came back. What I didn't Liked: All the troubles that Lizzie had to go thru and the way her father was. Overall Impression: I felt for Lizzie in this book. It seemed she felt alone with no where to turn so she realizes she needs to go back "home". She is afraid she will not be accepted back into her community but she was wrong with the exception of her father. This book was full of suspense which I enjoyed and it made me not want to put the book down. Even with all that is going on I liked the ending of the book and felt satisfied. This was my first book by this author and I will be looking for more. 4 stars. Synopsis of Book: She's Come This Far.... Must She Turn Back Now? After fleeing North Dakota and the now defunct Wild West Show, Cassie Lockwood and her companions have finally found the hidden valley in South Dakota where her father had dreamed of putting down roots. But to her dismay, she discovers a ranch already built on her land. Cassie's arrival surprises Mavis Engstrom and forces her to reveal secrets she's kept hidden for years. Her son Ransom is suspicious of Cassie and questions the validity of her claim to the valley. But younger son Lucas decides from the start that he is in love with her and wants to marry her. Will Cassie be able to build a home on the Bar E Ranch and fulfill her father's dream of raising horses, or will she be forced to return to the itinerant life of her past? Why I Read This Book: I was given this book by Bethany House for a fair and honest review. I was not compensated for my review. What I liked: As with the rest of Lauraine's books I have read, I like her writing style. Her books always pull me in and make me feel a part of the book. What I didn't Liked: That you have to wait for the next book in the series. Overall Impression: I always like books set in the Dakotas as I am from the Midwest so I feel drawn to these books. I have also been a fan of Lauraine's for a long time and she never disappoints me. I enjoyed reading about Cassie's story and her struggles. I love reading about the homesteading and such as that is one of the things I find interesting in this time period. The characters are strong and likable to me. I can't wait for the next one to come out. 5 Stars. Hello - I am going to take a minute and do a post that has nothing to do with books or reading. My friend Melissa is just starting out as a Scentsy consultant and I thought it would be nice to host her first party for her. Here is her letter to everyone: Hi Everyone! My name is Melissa, and I want to thank Angela for having my first Online / Catalog Party for Scentsy products! We are holding her Party from October 4th thru October 31st. You can shop online at - Melissa's Scentsy Page in order for Angela to get the Hostess Rewards, please look for Angela's Name under My Open Parties, and then click buy from Party. Scentsy has lots of different kinds of Warmers, ( including new Holiday warmers ) with over 80 fragrances to choose from! Scentsy also has Scentsy Buddies ( Current Buddy Special..Buy one, get one Free ), also included in the Scentsy catalog are "Layers by Scentsy" and different Specials of the Month!